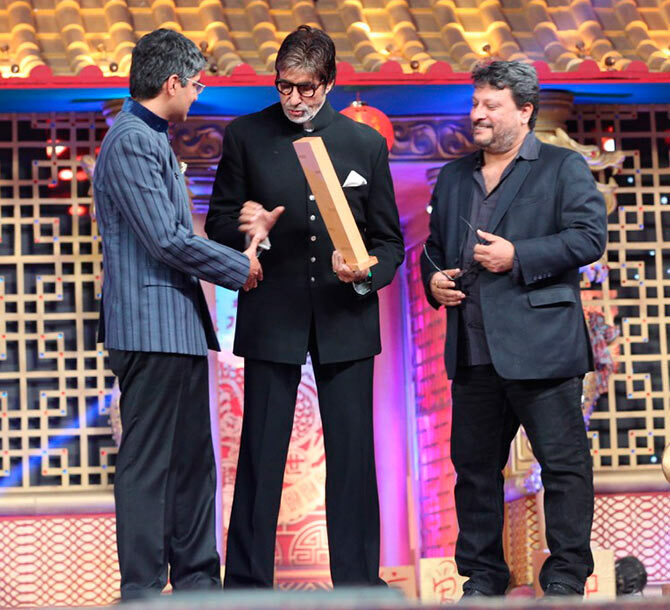 Bollywood made its presence felt at the Big Star Entertainment awards in Mumbai on December 13. The stars looked very glamorous on the red carpet, and they had a lot of fun inside as well! The event was hosted by Manish Paul and Bharati Singh. 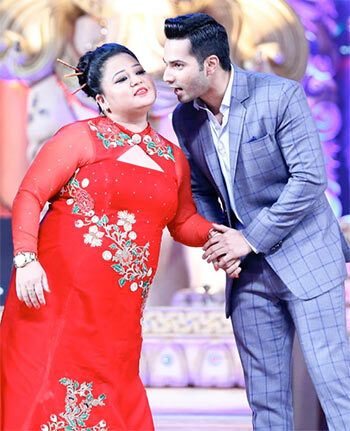 But it was Varun Dhawan, who entertained the audience with his antics. 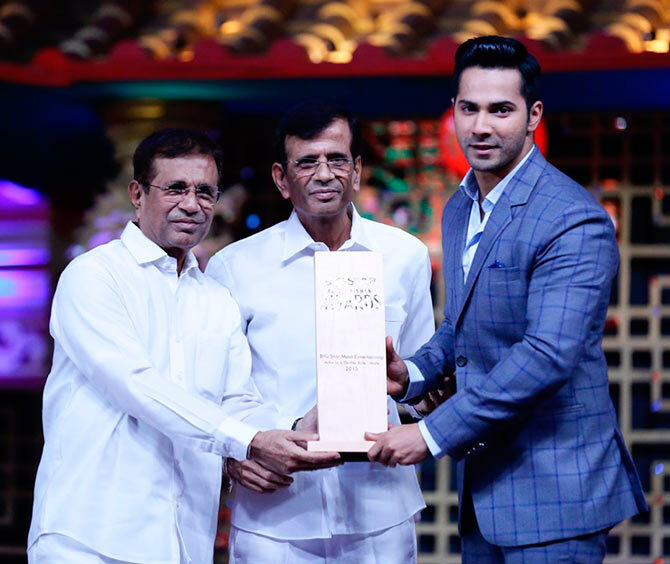 Director duo Abbas-Mustan presents the Most Entertaining Actor in a Thriller role for Badlapur to Varun Dhawan. Akshara Haasan greets her Shamitabh co-star Amitabh Bachchan. 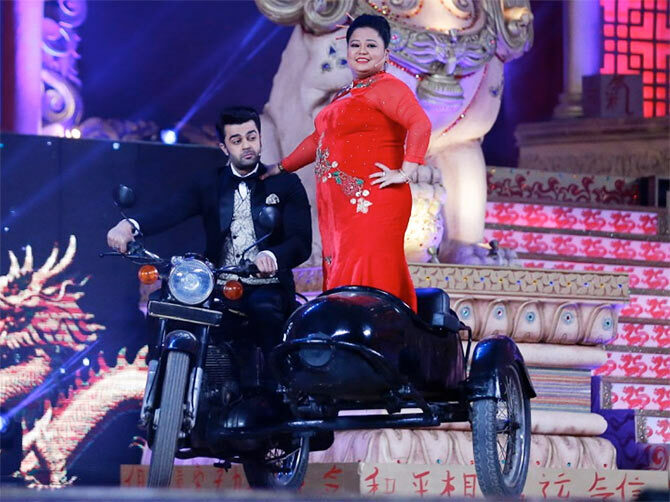 Manish Paul makes a grand entry with Bharati Singh. Junior Dhawan gets ready to lift Bharati Singh. Elli Avram performs at the Big Star Entertainment Awards. Kainaat Arora greets Gulshan Grover. 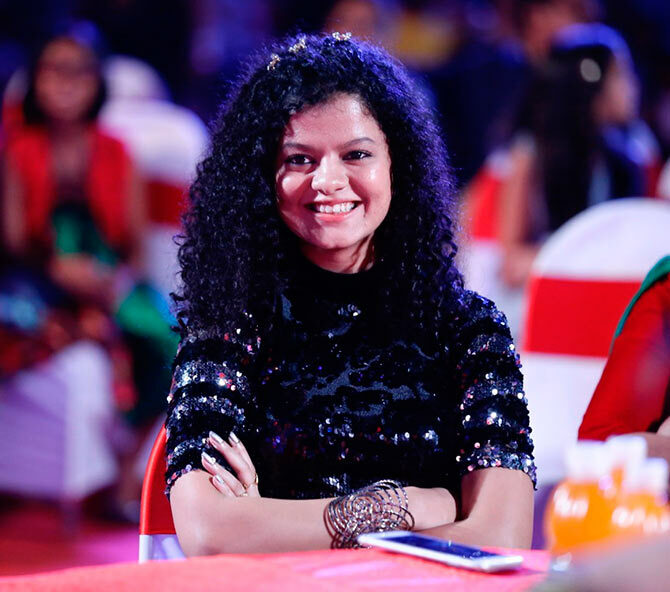 Singer Palak Muchhal won the Best Playback Singer award for Prem Ratan Dhan Payo. 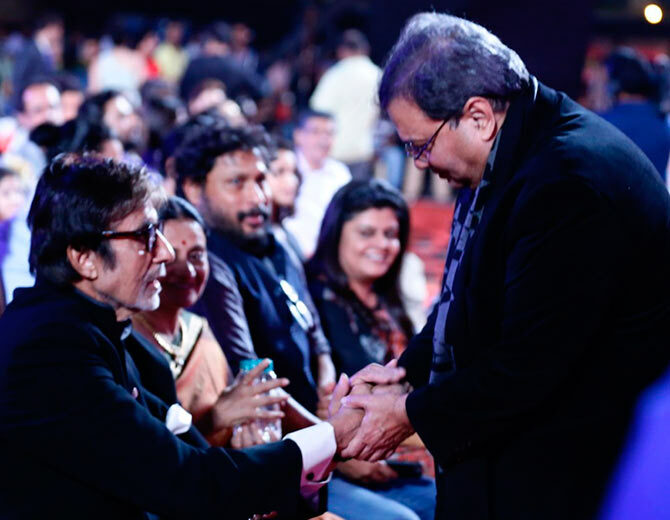 Filmmaker Subhash Ghai in conversation with the Big B.
Tigmanshu Dhulia (right) looks on as Senior Bachchan collects his award. The BIG BAD Box Office Clashes! Alia, Priyanka, Sonakshi: When the makeup comes on... and off!